We bring forth best quality Cocoa Powder with natural low fat. This Cocoa Powder is derived from natural cocoa liquor which is extracted from chosen Cocoa beans. The liquor is pressed to extract all the oil and make fine dry Cocoa Powder. This Cocoa Powder is derived from Dutch processed cocoa liquor which ensures that dark colored cocoa powder with a rich cocoa flavor is obtained. This Cocoa Powder can be used where rich, deep color is required in the final product. Cocoa Powder alkalized low fat (10% - 12% fat content) is a standard product. 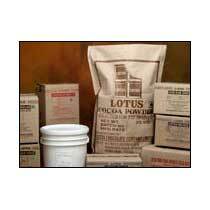 Lotus also supplies different fat content in alkalized cocoa powders based on customer needs.